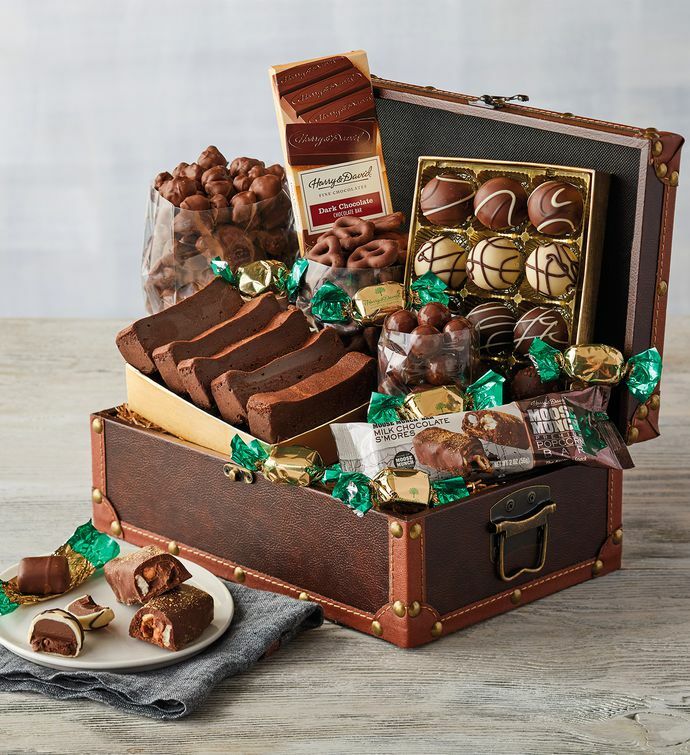 A beautiful chest covered in leather-like material with a hinged lid holds a decadent selection of our finest chocolate treats. Inside, you'll find our chocolate decadence cake, signature chocolate truffles, and more delicious chocolate goodies, all made in our Southern Oregon candy kitchen. A memorable keepsake for anyone who receives it, this gift will last long after its contents are gone.